As I have spoke before, Beef Brisket rules in Texas. 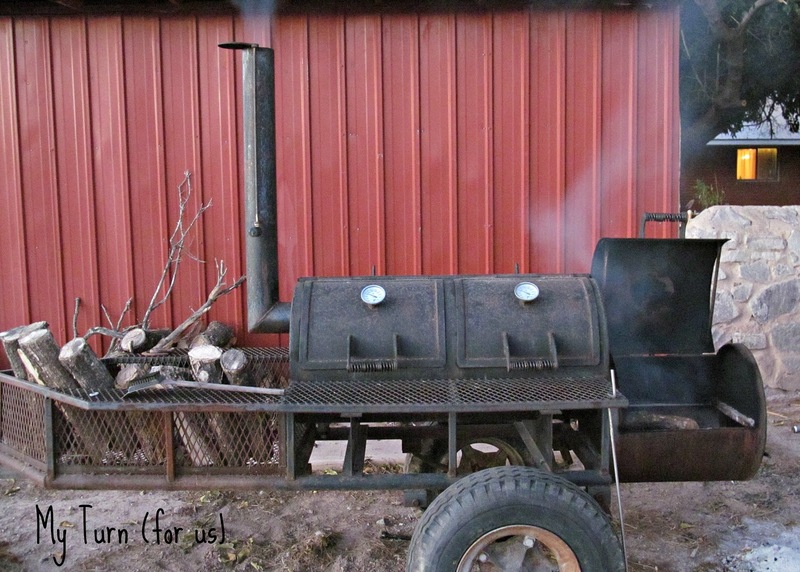 My hubby loves to fire up this baby, then season a huge slab of meat and start cooking. And he doesn’t plan ahead, he just wakes up one morning and starts to build a fire while I jump on the bandwagon and drive into town for a nice brisket. Nope, it doesn’t matter if it’s just the two of us or if we have guests, the brisket is always huge. And I know we will have a great time and great foodies by the end of the day. When we lived at our Pecan Orchard in New Mexico, we used pecan wood but now that we are back on the Ranch in Texas, it’s Mesquite wood all the way. 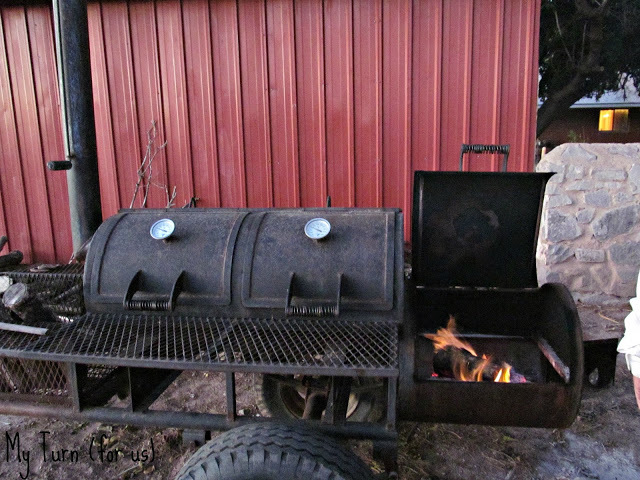 Whether we use Pecan Wood or Mesquite wood, the smoke gives the meat the best flavors, I love both. After the fire is started, its time for the meat. We start with this awesome, huge chuck of beef. I think this brisket weighs about 15 pounds. I always spend way too much time at the store going through all the briskets trying to find the best one. But with all that marbling, most are just perfect. 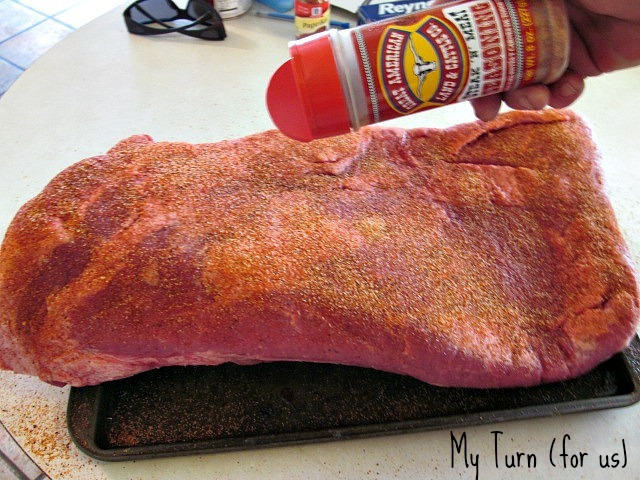 We always season the brisket very well with a rub. We have so many different rubs and seasonings but today we are trying out a new rub that I purchased on our last trip to our hometown in Texas. When the temperature reaches 250-300 degrees, it’s time to put the meat on. But wait! Ok (1) We have a well seasoned brisket, (2) a smoker heated to the proper temperature but I think we missed one key ingredient! An Adult Beverage!! Yep, something about fueling the fire and seasoning a huge slab of meat makes one very thirsty! The meat is placed on the grill furthest away from the firebox. The smoke raises from the fire, travels across the meat and exits out the smoke stack. 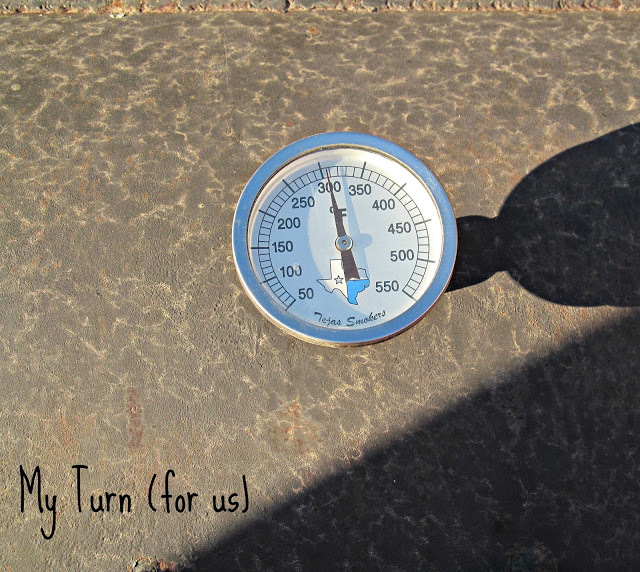 The heat is low and the meat is cooked slow and smoked. After the brisket has smoked for about 1/2 -1 hour per pound, check the internal temperature of the meat. 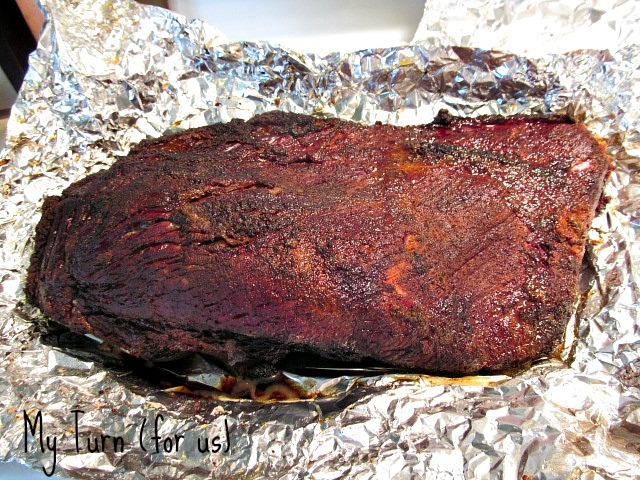 When the brisket has reached just above 175 degrees, remove from smoker, wrap in heavy foil and place back into smoker. Close down the vents of the smoker to put out the fire and leave it for about 45-60 minutes. Then remove the brisket from the smoker and let the meat rest. The brisket should be done to about 190 degress and will be tender. The trick is cooking it to the point that it is tender but not falling apart. Also it is important to have the smoke ring. This is the indicator that you have smoked the meat low and slow and it has just the right amount of smoke flavor. See the pinkish line on the top edge of the slices. This is just perfect! 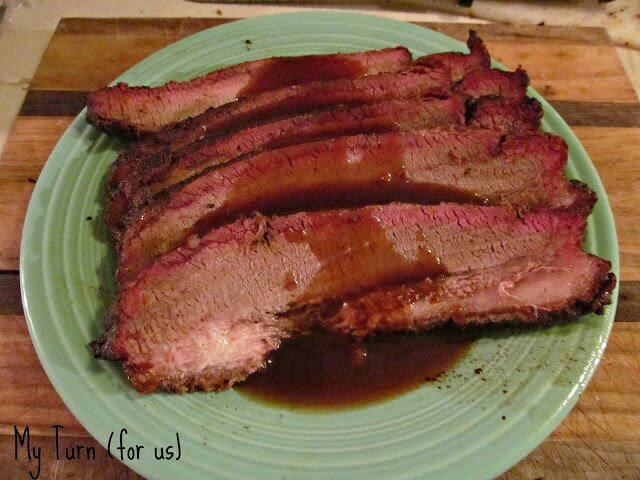 Smoked Beef Brisket with our favorite homemade BBQ Sauce! Oh my gosh Evelyn! Yum! Thanks so much Evelyn! 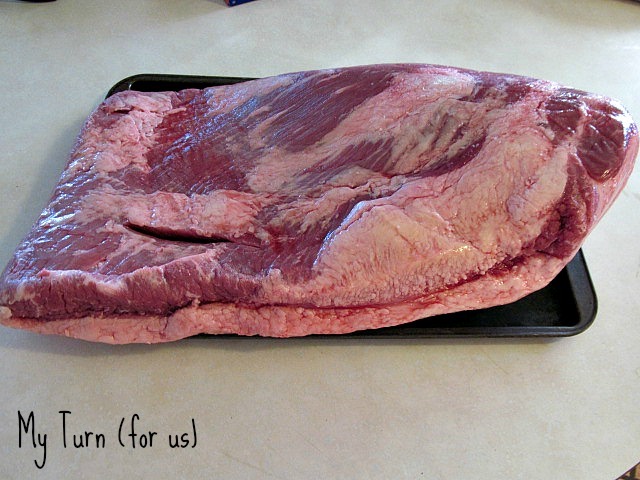 I have been looking for a Texas Brisket recipe. I will be following your smoker recipes and post. Can't wait! Oh my goodness, I'm hungry for brisket now. 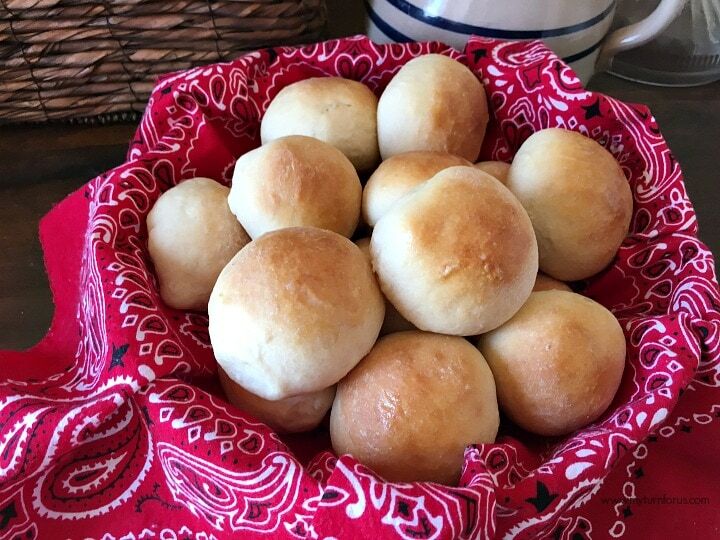 Thank for sharing at my Our Favorite Things Link Party. Have a great week. Oh my does that look delicious! I totally agree about smoking/grilling in the Fall. One of my favorite things–and things I miss most–about Texas is great brisket. I could do some serious damage to a brisket plate. I think I need a smoker. Can we say Yummy! I think you've just convinced me to let my hubby have a smoker. He's been asking for ages since he discovered the amazingness of Southern BBQ. Awesome post! I just hopped over from the Tuesday link party. I brisket looks so good I can almost smell it. 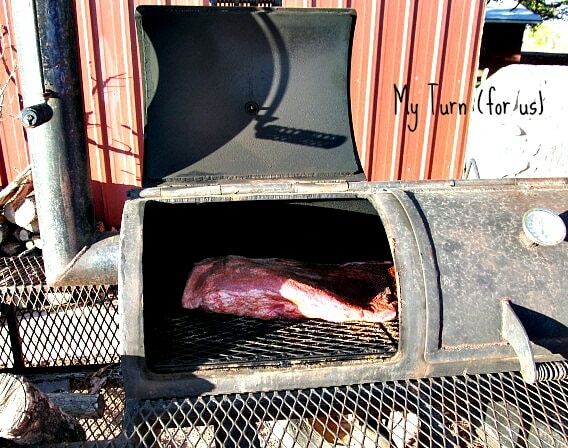 We love brisket and I love your smoker too. Hoping to build one someday! Your newest follower from http://www.feralturtle.com Cheers. 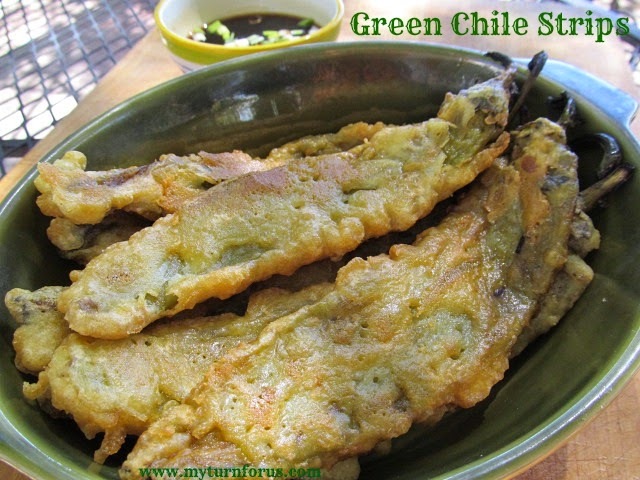 I'm sure the smoky flavor makes them mouth watering~! Thanks for linking! This surely looks sooo good! Something my hubby would love to try. Thanks for sharing. I gotta move to Texas!!! hehe That looks SOOOOO DELICIOUS!! Yum, I love beef brisket! You are rocking this smoking thing aren't you? Oh my, I really have to try this. Thanks for linking up with me. Oh my! This looks so good and I want some! Thanks for the tips! Oooo. I love smoked brisket! I can't wait to try this. 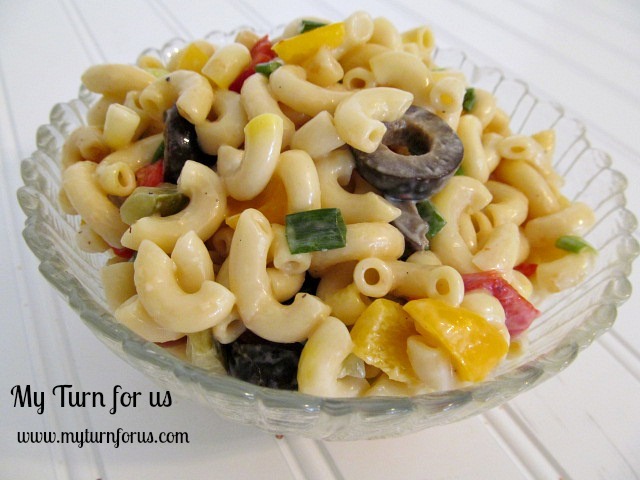 I would love it if you'd share it with us over at Real Housemoms for our Fabulous Fridays! link party. this looks so darned good! I wish I was eating it right now. I think I'm drooling. This is making me so Hungry for bbq! The town I live in has a decent bbq joint but it doesn't even compare to real southern bbq! Oh how I miss it. Hi Evelyn, I’m Anne from Life on the Funny Farm (http://annesfunnyfarm.blogspot.com), and I’m visiting from Fantabulous Friday. This looks soooo good! I had some brisket like this once down south, cooked up by my wonderful aunt. I've never forgotten it! Being from South Texas, I love me some brisket. We use mesquite wood here, because it's so readily available. 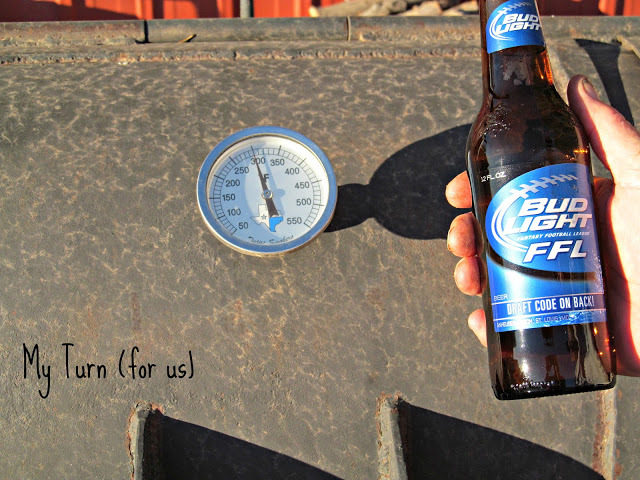 It adds a delicious smokey flavor. I hope you enjoy a lovely Thanksgiving with family and friends all around. I don't think I'm going to be satisfied with crumby leftovers tonight after reading this! 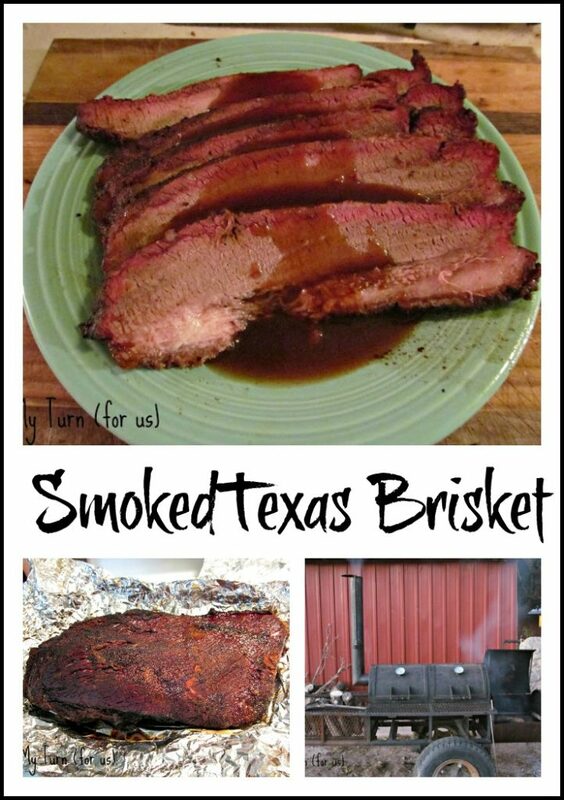 Sounds just wonderful and like Vicki — we love us some brisket! MMMM — sounds delicious! 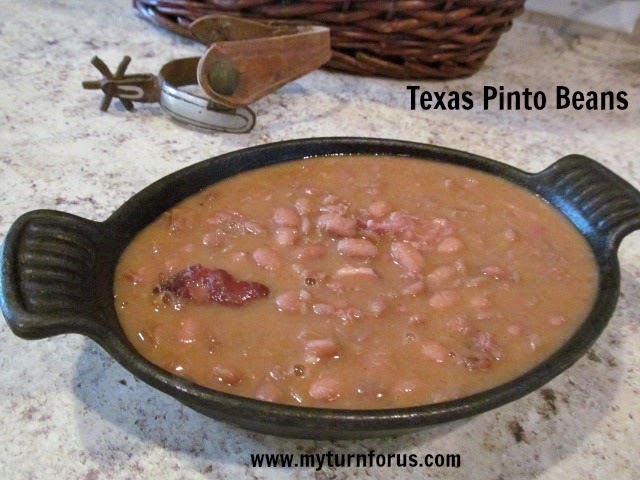 Makes me want to move to Texas — that and the freezing weather outside! Didn't know about the smoke ring — good information. Thanks so much for sharing on Busy Monday! May… you look like you are some actual cook! Wow. That looks wonderful! Thanks for sharing! Hi Evelyn – You're being featured today on the All star Block Party. Head on over to grab your button! Happy Thanksgiving. WOW! This looks amazing. We lived in Texas for a few years and just didn't fit in, but I do miss the amazing brisket!!! Yum! I'm ready to come over for dinner! Thanks for joining the party at One Creative Weekend! 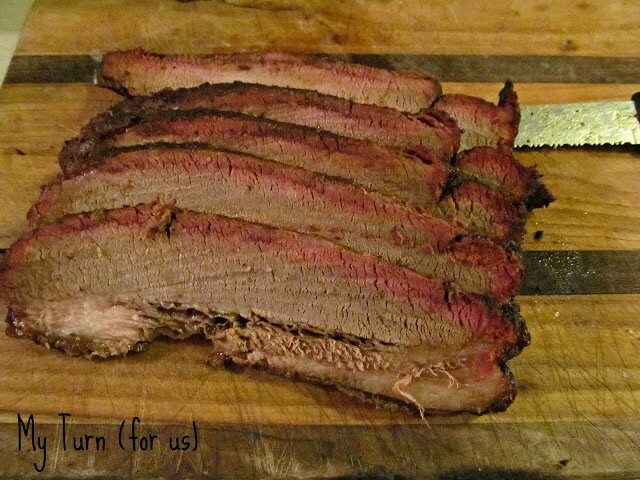 I just love a Smoked Brisket, but have to admit I've never done one myself. I just may have to give this one a try, your instructions make it look like even I could do it!